Swindon Town’s players and staff are going to be pretty familiar faces at St James Park over the next week or so. Not only are they our visitors this afternoon, in an important mid-table League One clash, but they also return on 6 October for the second round of the Johnstone’s paint trophy. I’ve seen the Robins in action on several occasions in different locations over the years. The details escape me, but there is one Swindon incident no-one can forget. That legendary second extra-time Don Rodgers goal against Arsenal in the 1969 League Cup Final is still the talk of the town 40 years later, and one of my own earliest football memories. I watched the highlights of that famous encounter on a battered black and white telly in my grandparents’ living room when I was 11 years old. The picture was pretty fuzzy. But, fortunately, Don’s jersey was gleaming white and the old Wembley pitch was covered in mud, so the contrast worked well for the all-important moment! What most people don’t know is that Swindon followed up that glorious and unlikely victory (they were in the third tier of the league at the time) with international silverware in the shape of a hastily arranged Anglo-Italian League Cup Winners Cup match. Since then it’s been a pretty familiar yo-yo existence for one of England’s redoubtable provincial sides, punctuated by a several struggles for financial survival. This season, the Robins would love to push for a play-off place, at least. They bring with them a blend of experience and youth, including ambitious 20-year-old left-back Callum Edwards, who is keen to establish himself as a regular in Swindon’s first team line-up. It’s a sign of how tight this division continues to be that, up to Saturday, just four points covered the difference between Swindon in seventh position and ourselves and Oldham in fifteenth and sixteenth places respectively. Put another way, the Grecians lag our rivals by a win and a draw – or at least, that was the situation before the weekend, when we faced a really tough encounter with Charlton Athletic, while the Robins had a potentially easier ride against struggling Wycombe. Then again, when this afternoon’s match is over, the table may have yet another complexion. There are no insignificant fixtures when you’re trying hard to establish a good base going into the autumn and winter. Every point and goal counts. Elsewhere, the football world continues to be as eccentric as ever. Last week Sol Campbell left Notts County and their well-bankrolled League Two ambitions after just one match, having signed up only five weeks previously for a five-year ‘project’. Obviously Sven Goran Eriksson’s persuasions were not enough to combat the grim reality of life outside the Premier League limelight for the former England defender. For many people this will only confirm the reality gap between ‘real football’ and the fantasy expectations of millionaires in the top flight. By contrast, our former Conference and League Two opponents Accrington Stanley are engaged in a huge fight for survival in the face of diminishing crowds and a large tax bill. One possible option may be a whole or partial fans buy-out of the debt, and it’s heartening to see supporters from a host of other clubs rallying around. Particularly praiseworthy has been the willingness of Premier League newcomers Burnley to play a fundraiser with Stanley, in spite of their own preoccupations with survival among the big boys. It’s one clear indication that ‘small teams’ can achieve outstanding success and still retain values rooted deep in the ordinary fabric of this fabulous game. That’s something followers of Exeter City will be keen to emulate as we look towards the as-yet-uncharted territory of the top two divisions. But to start thinking of those pastures would be to get ahead of ourselves. The higher echelons will only become a real prospect if we can start winning games like today’s against Swindon on a regular basis, as well as giving the Charltons and the Leeds’s of this world a torrid time. Against Tranmere Rovers, the Grecians ground out a match that turned more on the result than on the performance, as Paul Tisdale commented to the media afterwards. But that doesn’t mean City are abandoning style – merely adding grit to well-nurtured talent and well-thought tactics. This talent certainly includes ’keeper Oscar Jansson. With Jonesy injured, he turned in fine performance against the Super Whites, including two excellent stops in the first half. We’ve only had one clean sheet so far this season. Another one would be very welcome today. For those of us who live many miles away from Dumbarton and can only get to a handful of games a season, the advent of SonsTV on the web has been a real boon. Another excellent service from the Sonstrust. It may be just five minutes or so highlights from each game, but it keeps you in touch and enables you to share in some of the highs and lows on the park. What it doesn’t do, of course, is to give you any systematic idea of how things are going tactically and in relation to the performances of particular players. But those are subjects which supporters always have a thousand opinions on (both those who see every kick and those who watch more fitfully)… and the ones that really count are belong to the coaching staff. It struck me the other day that thanks to SonsTV this is set to be the first season in my life where I will have been able to see every goal scored in a league or cup match involving Dumbarton – and even the pre-season friendlies (though I notice those have disappeared from the back catalogue). Of course there hasn’t been a tremendous amount to cheer about or want to re-watch so far this term. But hopefully the corner can be turned against Cowdenbeath. The Blue Brazil (whose curious Central Park home is the photo-feature this month in my favourite football magazine, When Saturday Comes) lie one place above us in the Second Division. The difference between the two teams is only one game and three points. In other words, Cowden have secured that precious first victory we are still on the lookout for. Once we have a win under our belts I am convinced that Sons can turn things around and head for a respectable league position. As several people have commented, maybe the answer lies (as it did last season) in finessing the traditional 4-4-2. The standard is a bit higher here than in the Third Division, but directness and coherence still pays dividends. Whatever alchemy is needed, there’s a long way to go. Meanwhile, though the game last week against Stenhousemuir had plenty of frustrations, there were also a few bright points: our first clean sheet, another point (and, indeed, a doubling of our tally!) and vacating the bottom slot to Clyde. A good neighbourly gesture. Now the desire is to taste victory. As soon as that happens, I’m sure the number of ‘hits’ on SonsTV will leap eve more. But for me there’s another reason to watch web-based football clips right now – and that’s the fact that I don’t have regular access to television, for the first time in living memory, pretty much. Southwest England went completely digital back in May. As I spend my time between Exeter, Birmingham, London and further afield at present (it’s a long story!) it really didn’t seem worthwhile investing in new equipment or a cable package, so instead I’ve been catching up on DVD-viewing via my computer monitor. That has included quite a few football films and documentaries, unsurprisingly. When I mentioned this to a friend the other day, he immediately assumed that Dumbarton had never made it on to the silver screen. At which point I was able to remind him (and even show him) the 2002 movie A Shot At Glory, with its nostalgic vistas from Boghead Park and a goodly roster of ex-Sons players turning out in the legendary single black-and-gold striped white shirts. They get beaten, of course. But that’s nothing new! Most football films are notoriously duff. This one has a number of flaws and plot holes, though if you’re a softie at heart you’ll probably still enjoy it. The crusty, Shankly-like lower league manager is played by Hollywood legend Robert Duvall, who is a great character actor, but whose Scottish accent is as wobbly as a jelly in a sandstorm. As one reviewer commented, it veers between cartoon Groundskeeper Willie and cod Sean Connery via Brigadoon. Still, Observer columnist Will Buckley put in a glowing word for the movie not so long ago. And the star turn, perhaps surprisingly, is Ally McCoist, who turns in a very actorly performance (by which I mean he doesn’t look as if he’s acting). OK, he’s essentially playing himself. But sadly, commentator Andy Gray couldn’t even make a good fist at that. Anyway, I’d prefer to be watching a few minutes of contemporary Sons glory than any amount of football nostalgia. So would you, I guess. And there’s no time like the present. Given the pressure and the chances generated by Leyton Orient at Brisbane Road last weekend, the Grecians can feel reasonably satisfied with a point from a tough away fixture. But the aim today will be to get back to winning ways against a Tranmere Rovers side in transition. I had very much hoped to make it to the Matchday Stadium (as most Orient fans still refuse to call it!) for the first meeting between the clubs in six-and-a-half years. I was even in London. Unfortunately work commitments and transport snarl-ups dictated otherwise. Sometimes life conspires against live football. I’ve seen Orient on a number of occasions when I’ve been in the capital in recent years – not least because my good friend Kevin Scully, an East End vicar, is a keen follower. Unusually he had to miss the game too, but the 1-1 draw leaves us at peace! It would have been hard to imagine a game like this only three years ago, when two whole divisions separated the teams. That’s a measure of the incredible progress achieved by everyone at Exeter City. One of the merits of the current set-up at St James’ Park is stability. That’s hard to achieve in football these days, when money, media pressure and the drive for results can produce regular regime change and relentless expectation – not always for the better. Since June, well-known Tranmere manager John Barnes has already been feeling the pinch in his short stint at the club. The ex-England international and top-flight boss with Celtic has recently said his side need an injection of fresh blood as well as better decision-making on the pitch. The Super Whites visit the southwest after gathering just three points so far this season, and on the back of three defeats and an empty September. They have shipped ten goals in their outings since 29 August, and are only spared the ignominy of bottom place courtesy of Southampton’s points deduction. That said, Rovers pulled two goals back against top-half team Walsall last week, and any notion that they will roll over for the Grecians will, I’m sure, be rapidly dispelled in our dressing room – where another home win would make for a satisfactory if not spectacular first eight games for City. It’s always important to focus on each particular game, and not get distracted by what’s happening around you. But it won’t be lost on Exeter fans that after this afternoon’s action we face a hard but tantalising trip to Charlton Athletic. The Valley was actually the last venue where I saw a live Premier League game. Back in 2005, the Addicks were at home early on to Portsmouth (during Harry Redknapp’s first spell there). They had to struggle back then too, but the fall in grace following the eventual departure of Alan Curbishley at the end of the 2005-6 season was substantial. I have a friend who’s a Manchester United fan (a ‘real one’ who grew up not far from Old Trafford) who has had a season ticket at the Valley since 2006, as he now lives and works in London. He’s certainly had a rounded education in all aspects of the game of late! Now the Addicks are keen to reverse their rough fortune, just as Exeter City want to consolidate in this division in order to continue their climb towards the top. The ups and downs of football continue. In the midst of all this, we do well to be thankful for what we have going for us. I remember from my trip to the Valley just under four years ago that quite a number of Charlton supporters were grumbling and moaning loudly about the Curbishley regime. Looking back on it all, how wrong they proved to be. Of course, one man isn’t usually the sole difference between success and failure for a football side. Not for nothing is it a team venture. But a bit of wisdom, cunning and insight can go a long way. Exeter City has certainly benefited from that over the past three seasons, and we will continue to do so this term. Meanwhile, one of the issues that the back-room staff will be working full tilt to fix is the relative lack of goals. We have plenty of attacking options now, and just as in previous seasons lean spells in front of the net have been ended in determined fashion, so we are looking for a breakthrough or two in the near future… starting this afternoon, hopefully. It was not a very inspiring game at the Rock yesterday, I gather - an observation perhaps confirmed by the fact that the Dumbarton sponsors' Man of the Match was a player who got sent off and performed for less than half of the game! There were incidents and talking points, however - not least Jan Vojacek's penalty save and dismissal. Sons' difficult start to the season continues. But let's look on the bright side. The 0-0 draw against Stenhousemuir is the first clean sheet of the season, doubles our points tally, takes us off the foot of the table and represents a recovery with a man down. Undoubtedly a win at home against Cowdenbeath (who also came up from the Third, courtesy of Livingston's woes) would make a real difference. Fingers crossed. Nearer to (my) home, Exeter City took a point at Leyton Orient. I was actually in London today, and would have gone along, but for work and for the fact that my good friend -- and O's fanatic -- Kevin Scully (Kev the Rev) is away right now. Apparently Orient had by far the better first half and the Grecians struggled to adapt to a new winger. But this was more than compsensated by a superb performance and late goal from the man in question, Craig Noone. Meanwhile, Barrow lost at Luton Town but are keeping their noses out of the Conference (Blue Square Premier) relegation zone. Along with the team and manager, Dumbarton fans will definitely be hoping that two home games after an enforced international break will give the Sons a fresh opportunity to dig out the results we very much need to get this season going properly. Our opponents over the coming fortnight, prior to a long haul up to Peterhead, are certainly not unfamiliar. Both were strong competitors for the Third Division Championship last season, secured in the end by the Sons after an extraordinary, record breaking eight game run-in. How long ago that now seems. Stenhousemuir looked as if they might well take the trophy themselves following a strong opening spell last term, only to lose momentum at the critical moment. In the end they claimed promotion via the playoffs, and are joined by Cowdenbeath, who had a bitterly disappointing season but eventually profited from the demotion of Livingston and their own subsequent promotion into this Division along with Airdrie United into the First. Meanwhile, Stenny have enjoyed a much better start than the Sons again, having claimed six points from their opening matches, in contrast to our one. From Dumbarton’s viewpoint, we can only wish it to be another case of the tortoise and the hare once more … with our land-dwelling reptile from the family Testudinidae (don’t say you never learn anything from these columns!) suddenly sprouting wings when silverware or play-off places hove into sight. Not being a naturalist, I don’t quite know how you’d explain that kind of achievement in evolutionary terms, but I trust that Jim Chapman is able to do so in their football equivalent! Not that he will be wanting to leave everything to the final furlong. In 2008-9 Sons took crucial points from three out of our four encounters with the Warriors. Our progress – from defeat and a draw on to two victories – pretty much mapped the trajectory of the campaign as a whole. This afternoon we can’t afford any nostalgia, however. We’re in a different league, and the terms and conditions have changed. On paper Sons have the talent and know-how to achieve the results we need to stabilise in this division. But something hasn’t been quite right. Now it’s a question of overcoming early disappointments, reaching for the team’s true potential, and making sure that the fans are behind the boys. That last point is the one we can all do something about. Despair is written deep into the psyche of most dedicated football fans, even when we wish it not to be so. But a negative attitude doesn’t win you games. If anything, it’s more likely to help you lose them. You also don’t have to be a bandana-wearing New Ager (not many of those to the pound in Dumbarton, I reckon!) to recognise that a positive mental approach is deeply entwined with successful performance in the modern game. 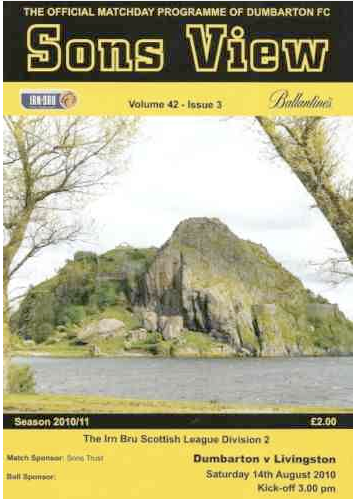 Last season I wrote a piece about psychology and football for this programme before I realised that Dumbarton had indeed availed themselves of some constructive support in this area. It paid off handsomely in the end. What’s true on the pitch can also have resonance in the stands, as well, where the “You only sing when you’re winning” taunt sometimes acts as a reminder that the time when the players need the most vocal support is often when we (understandably, given our disappointment) feel least inclined to give it. A few weeks ago I was at a Carling Cup match between my local side, Exeter City, who have just got into League One in England, and Championship contenders Queens Park Rangers. Exeter did well to start with, but after losing a goal and a player they imploded somewhat and ended up being pasted 5-0. What was impressive in the midst of this calamity was the way the home fans kept on singing in spite of it all. That isn’t always the case at St James’ Park, or the Rock, or many other grounds these days. Supporters have become customers in a harsh commercial environment, and we’re inclined to demand our pound of flesh, along with the rest. Especially when we’ve paid good money. No one can blame supporters for getting frustrated or angry. Love and hate do get strangely confused in all of us when passions are running high. 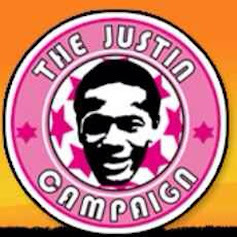 But what the Sons really need right now is an enormous boost from a very fine group of supporters, to help them make things happen on the pitch – as we all believe they can. As the nail-biting hour fast approached, Scotland finally got the breakthrough they deserved against Macedonia this afternoon. It ended up 2-0, but there could have been several more in the second half (the least said about the first, the better), and Maloney almost grabbed a very sweet third in the closing minutes. Scott Brown and James McFadden were the goal heroes in the end. I didn’t think I’d get to see the match, but thankfully an Aussie bar in Exeter had it on a big screen and several small ones. So a few In-ger-land lager louts aside, a good time was had -- plus a link-up by mobile to a friend watching from Dumbarton. Scotland’s slim chances of further progress in the World Cup now rest on that game against the Dutch at 7pm on Wednesday, given that Norway look very likely to take six points from their two outings, the first of which is in Iceland tonight. There have been 1-0 Scotland victories against Holland and France (twice) in recent memory, so extraordinary feats against world-beaters are not out of the question, and the Orange have nothing particularly to play for. But that creates its own problems. ‘Tragedy’ and ‘Scotland’ are virtually parsed together in football terms, so it would be a brave person to predict a win against the odds. Oh, why not. 2-1 Scotland. And you can always buy me a pint if I’m wrong. Not much encouragement elsewhere today. Dumbarton were not in action, but the home game against Stenhousemuir next Saturday demands a return to results. Meanwhile the Sons' Youth Development Initiative games this weekend were rained off. Exeter went down 3-0 against Gillingham, showing how tough League One is going to be, and my namesakes Barrow, who haven't had a bad start to the season, got tanked 6-1 by Rushden and Diamonds. Ouch. I haven't heard how Southall got on yet, but there lack of a home ground puts them in peril again in the depths of the Middlesex County Football League Premier Division. At least I'll finally get to watch The Damned United this evening. A bit cruel of the BBC to headline their press conference video excerpt from Scotland assistant manager Terry Butcher (pictured) "Scots are in 'good position' - Butcher". In fairness he did add "if we take six points" - that is win the final two games of their World Cup qualifiers, not just against FYR Macedonia (which isn't a foregone conclusion) but also against Holland - which will be little short of a miracle. Still, as George Burley has said, it's like a Cup semi-final and final. You just have to go for it. A nation will be on tenterhooks on Saturday, but the real tension (if all goes well then) will be for Wednesday night.